We landed in the middle of Umbria by default. 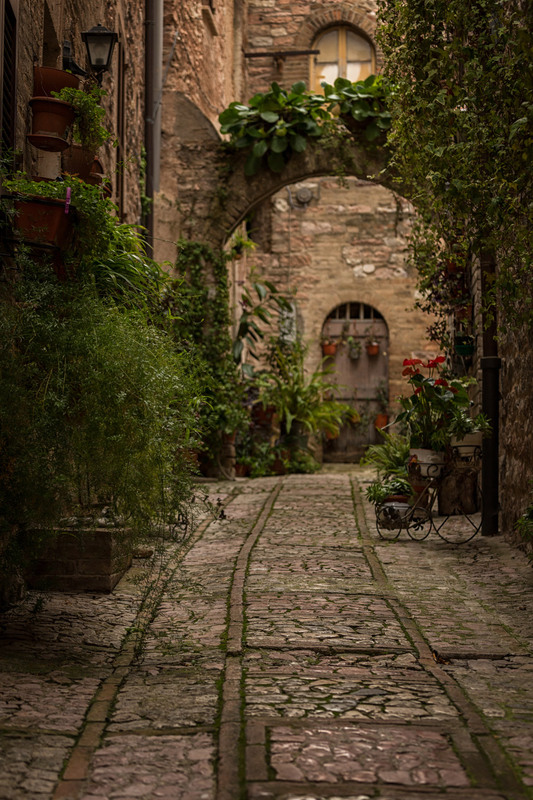 With two weeks to spare in Italy we cast a wide net – the small, historic town of Spello won out as being one of the only places where we could find an apartment to meet our basic needs. What we didn’t know at the time of booking was how truly captivated we would be. Umbria alone stands as a true testament to the diversity of Italy and even though we’ve now spent several months in the country on several different visits, we come away each time knowing there is still so much left to see and do. Each visit encourages us to return and dig deeper. Umbria does not get near the attention its neighbour Tuscany does. It hangs in the shadow of tourist magnets Florence and Pisa. 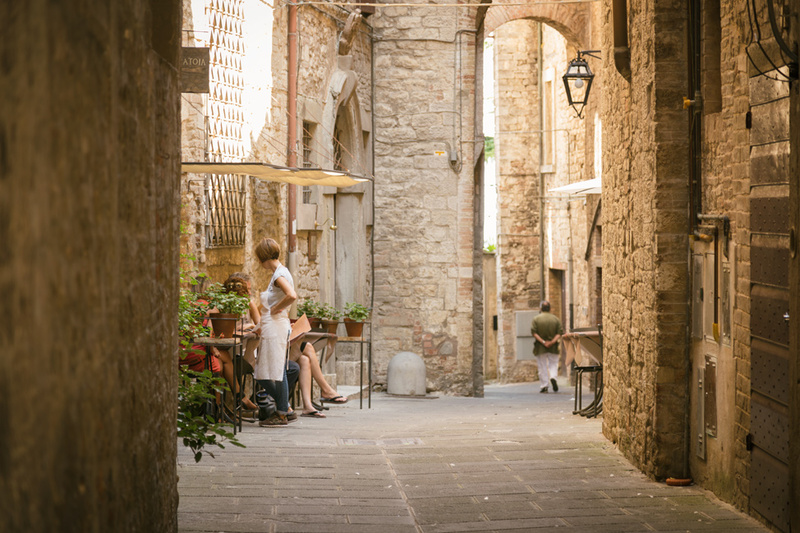 Its most popular town of Assisi can get overrun with day-trippers, but few linger to really explore. That fact, for these travellers, is part of Umbria’s infinite draw. And our two weeks there saw us road-trippin’ to far corners of it and even a little beyond, to bring you a photographic tour of the beauty in this region. Umbria alone stands as a true testament to the diversity of Italy. 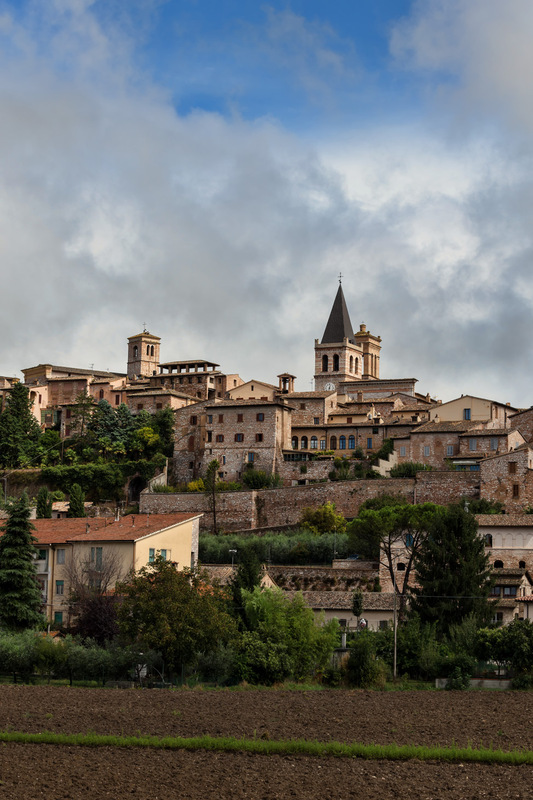 It may lack the spiritual significance of nearby Assisi, but anyone looking to share a slice with locals and enjoy an undisturbed photo shoot in a medieval hill town will adore Spello. Most attractions are strung along the main street inside the walls, but the best part is exploring the tidy streets surrounding. 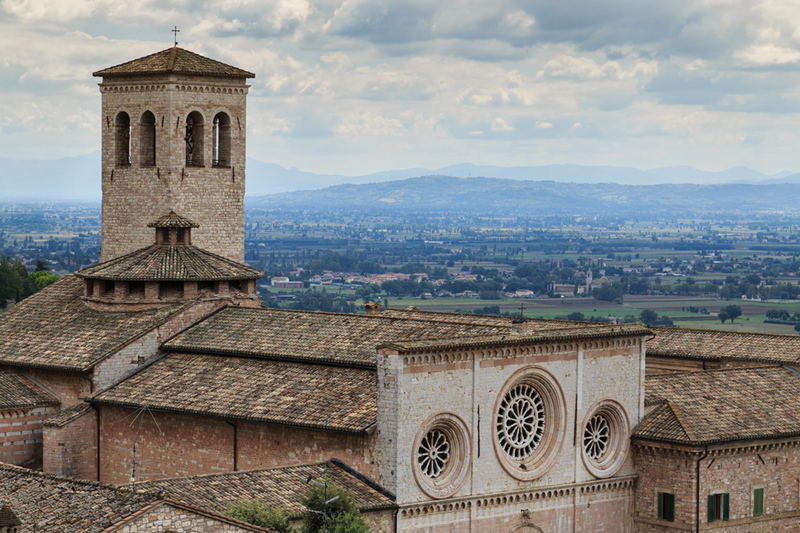 Millions of visitors descend on Assisi each year, drawn by the story of its most famous resident: St Francis. 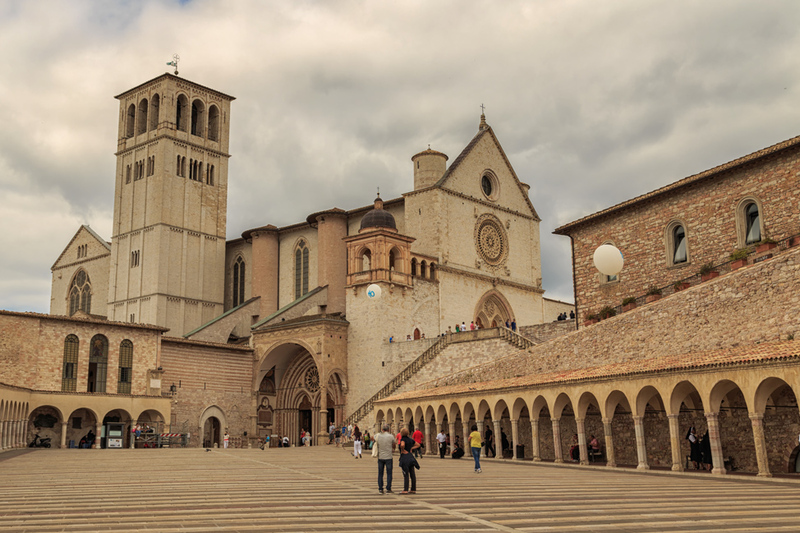 The town has two medieval castles, scores of tourist services to cater to the millions, and of course the Basilica of San Francesco d’Assisi anchors the historic center at the north end. Italian will not be the first language you hear, but it is a great place to watch nationalities gather and to even help a group of priests from India take a selfie from one of the many vantage points (yep, that happened). 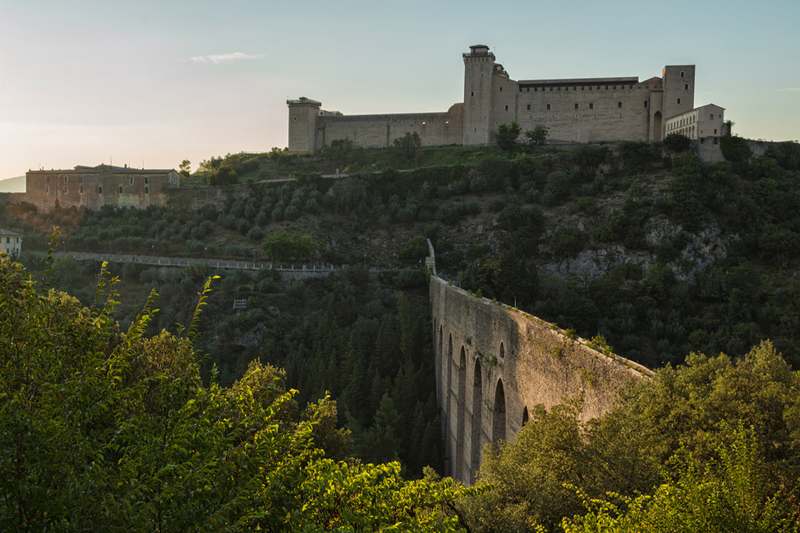 A rebuilt Roman theatre, a fortress, a “bloody bridge” named so after the persecution of Christians nearby, and a stunning 13th-century aqueduct that spans a deep gorge and offers sprawling views of the valleys beyond are all offered in Spoleto. Our visit there was one of more memorable trips in the region – but not for a pleasant reason. We spent most of the drive there arguing over who was responsible for our missing the best light of the day for photographs. It is most spectacular at sunset, but take it from BOTH of us, arrive a good hour or two before to avoid the lengthy shadows that fall across the aqueduct. On our inevitable return to Umbria, we may consider a stay here if not back in Spello. Another adorable hilled town, it towers high above and offers the best views in the area. It’s a real wonder how we were able to waltz through the historic centre almost entirely alone. 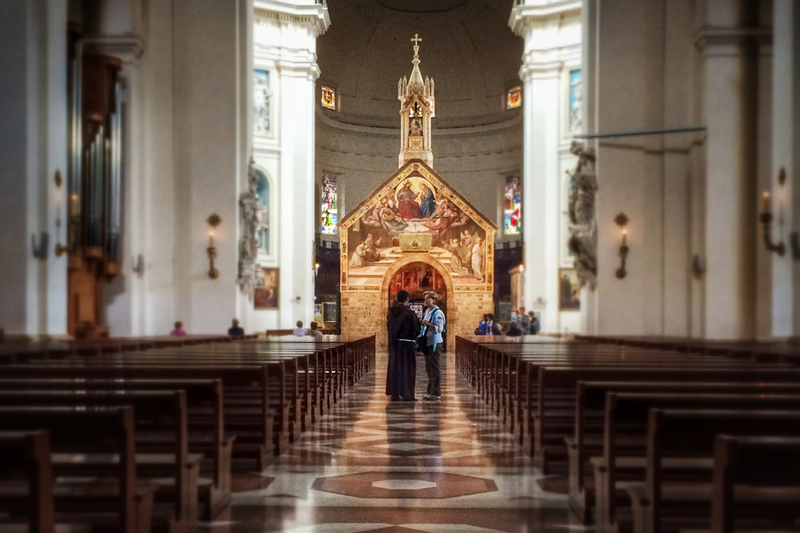 You can see it for miles, the rise of a massive church that towers in the valley below Assisi. The town itself isn’t the main draw, it lacks the quaint charm of its elevated neighbours, but the church is the reason to go. 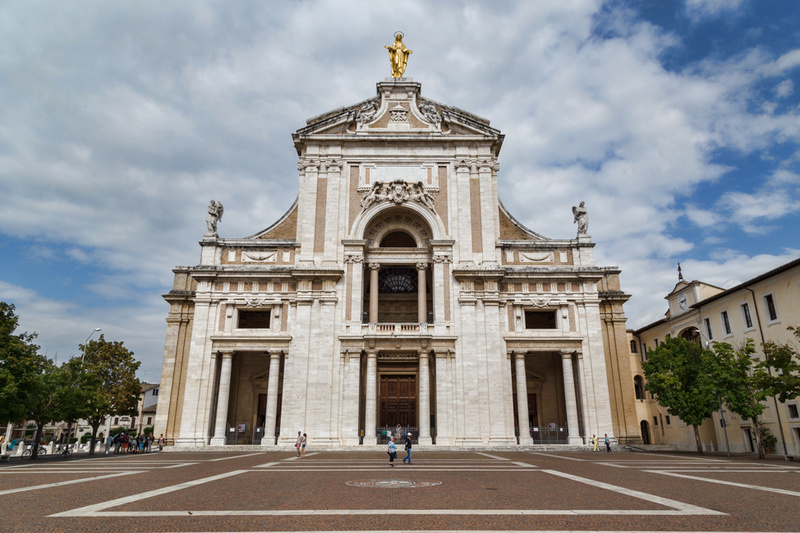 Because it is not just a massive Basilica by the same name, it is a massive Basilica that encloses a tiny church inside that dates centuries earlier. Much, much more to share from the drive to this tiny town through what is known as the “Piano Grande” (see this blog post). It is hands down the most scenic spot we’ve been to in Italy. Okay, so this isn’t technically Umbria. 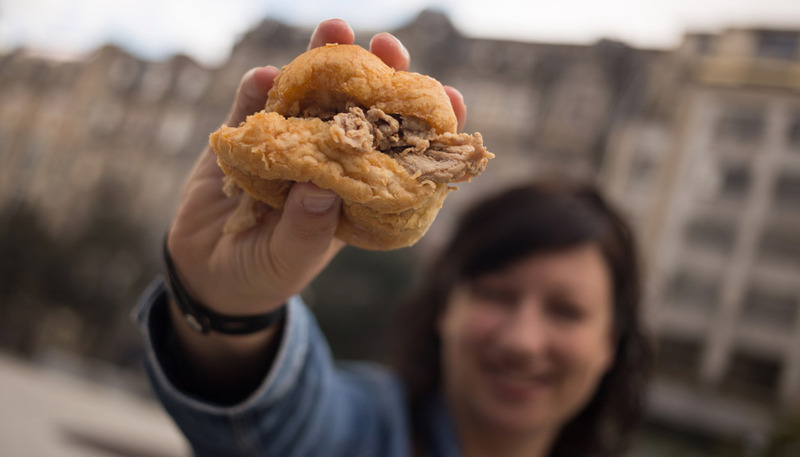 It’s just over the provincial border into Viterbo, but it’s so close that it would be a shame to miss it. As a feature in an episode of the Amazing Race, it had been at the top of Pete’s to-photograph-list for awhile, and so it became a memorable excursion to celebrate his birthday. Thanks to an earthquake in the 17th century, the town has since eroded to become an island, and the population has dwindled down to as low as 6 residents in the last century. It now has a vibrant tourism economy, but is still known as “the town that is dying” and is considered an endangered site. We also missed a few other notable spots: the capital city of Perugia, the man-made Marmore waterfalls, Orvieto and more. But as it goes for these travelers, our allotted time is never enough. So instead we leave new destinations for our return. 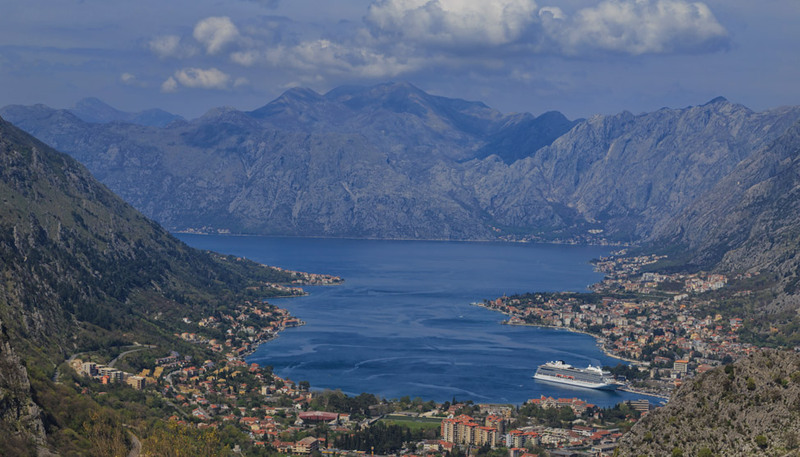 We went to Kotor, Montenegro for our fix. Awesome photography Pete and mesmerizing words Dalene!! What a wonderfully delightful post as always, my brother studied in a school named ‘St Francis D’Assisi High School’ here in Mumbai so I have heard about him, glad to see pictures now from Italy. My gosh – I’d never heard of civita di bagnoregio beforeand now you have firmly placed it on my bucket list given how neat it looks and just the eerie aspect to it! I hope you get there Emily! It is a pretty cool spot, well worthy of the trip! Love that last photo! I wanted to go to Umbria but ran out of time and could only explore Tuscany. Next time! Jimmy Dau recently posted..How not to travel through Turkey. After seeing this post, my wife and I pretty much want to leave everything behind and just go live in each of these photos. I had the chance to visit Assisi seven years ago – incredibly beautiful. The train ride in the area alone was amazing. Michael recently posted..how to climb mount meru. YES. We loved rolling through the countryside by train. Best way to travel there! Gorgeous photos as always! Never heard of Castelluccio, but I’m intrigued. Looking forward to that post. Looks like we did the exact opposite tour of Umbria, as I stayed in Perugia and explored Orvieto. Thanks Gigi! 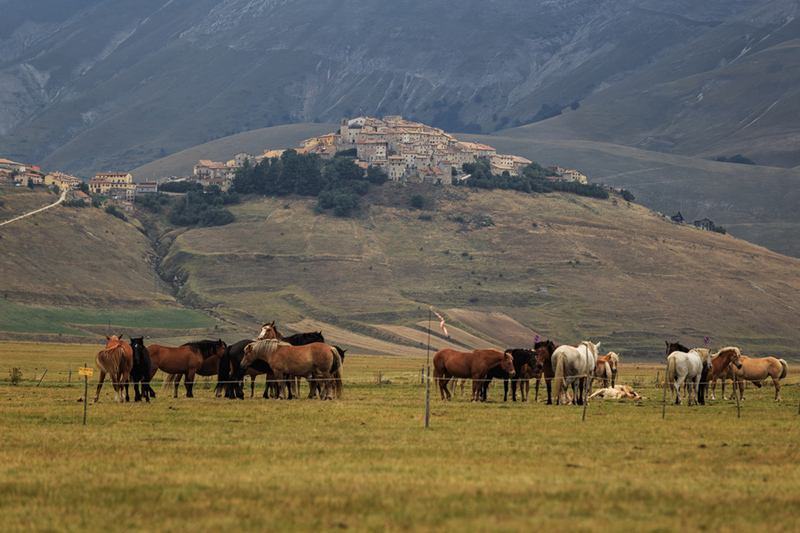 Pete is editing up his best photos of Castelluccio as I write this. Can’t wait to share them. Franca studied at Perugia University so it was pretty obvious that when the time came to the city to see old friends when we started travelling in 2012, seeing Assisi was inevitable, and you’ve really shown why it and the region are so much loved by both Italians and International travellers. 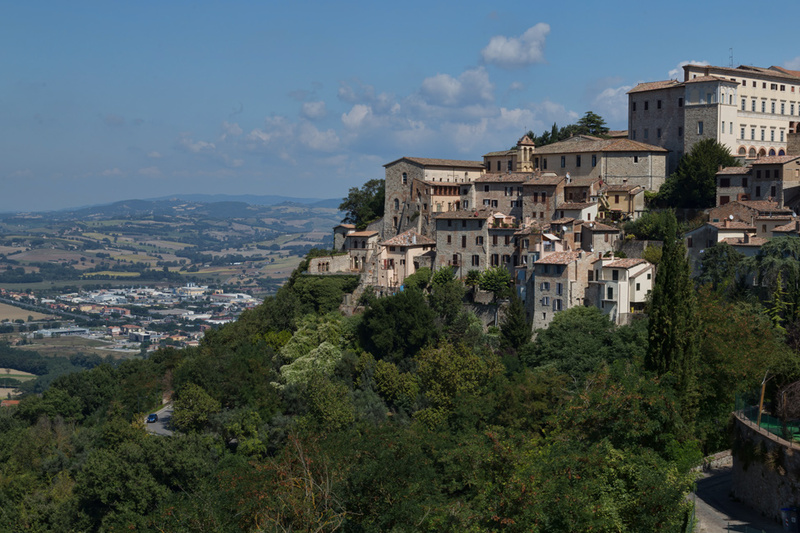 Todi is on my list for the next time we venture to Umbria as we’ve friends there we’ve been supposed to visit for years; and with beautiful buildings like those, the urge to go is ever more greater. As always, wonderful fotos. Shame you missed Orvieto as it is a jewel…..as you say…next time. Wow..that’s beautiful!! And I just knew about Rome and venice..which month did you travel in? I studied Italian art history in Italy as an undergraduate, and we spent a couple of days in Umbria. Assisi has such an amazing history. Looking forward to your post about Castelluccio. 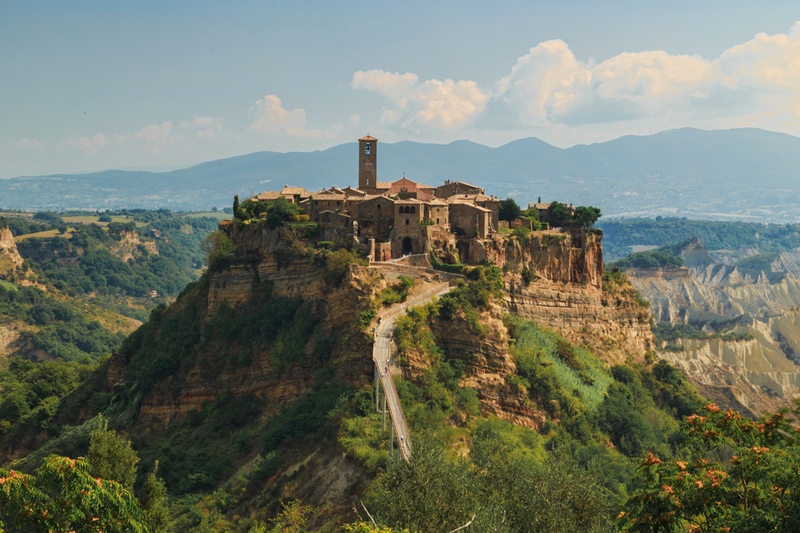 I have only been to Perugia and Assissi in Umbria but I loved both towns (despite the large number of tourists).I would definitely like to explore more, especially Civita di Bagnoregio- what an amazing looking little town! I really think Umbria is so much more beautiful than Toscany! It still doesn’t get all that much which is actually better as it can stay more real! I was there only once, 4 or so years ago, but I want to come back ever since and you just made me daydream about the place even more!! We have been to Umbria a few times and visited Spello, Spoleto, Assisi, and Todi and found them magical as well. Other towns that we enjoyed and can recommend were Orvieto, Bevagna, Montefalco, Trevi and Gubbio. We have always gone in September or October and practically have the place to ourselves. I’ve always wanted to visit Assisi for the history. Your photography and words are so inspiring! Nice piece. Assisi will always be remembered as one of the hottest places we’ve ever been to. Summer 2006, Italian heatwave and no A/C. Needless to say we’ve learned our lesson. 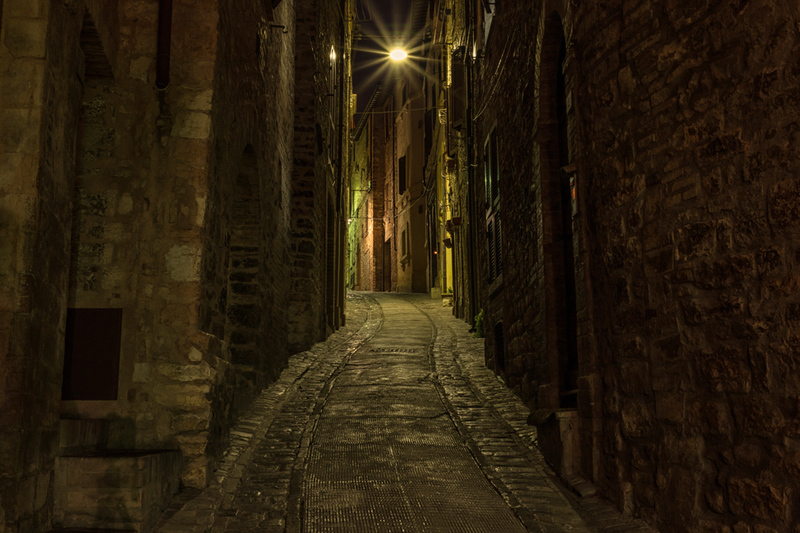 Umbria is a magical region and Spello is one of its most beautiful pearls. 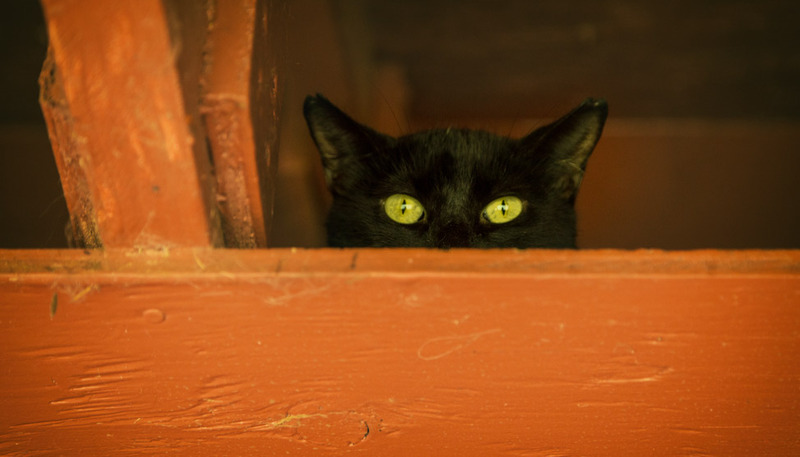 Before I say anything about the post, I just want to go gaga over your photos – they are SO GORGEOUS! I want to pin all of them! 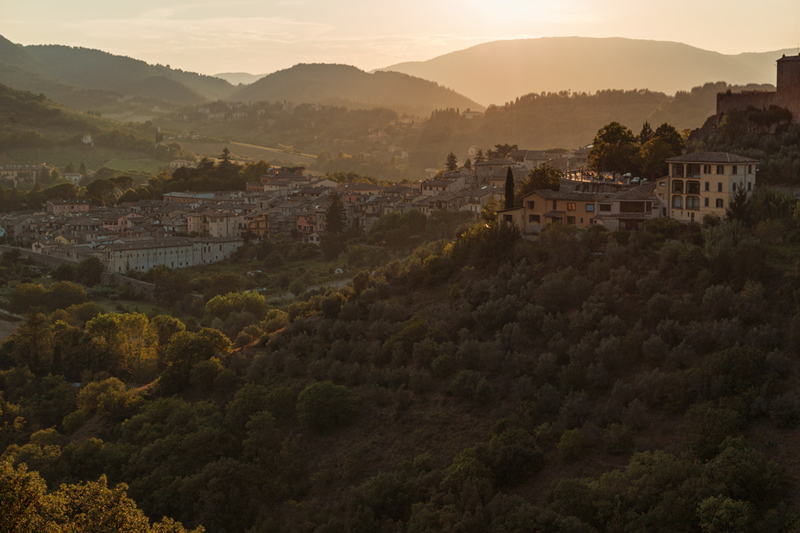 Yes, Umbria is one of my dream destinations – in fact, the entire Italy. Just like you guys, I want to explore its each little town and village, click innumerable pictures and just soak myself in its classic charm. Renuka recently posted..So How Did I Quit The Cubicle For The Road? Looks magical. I love the horse picture with the town above. Lovely!